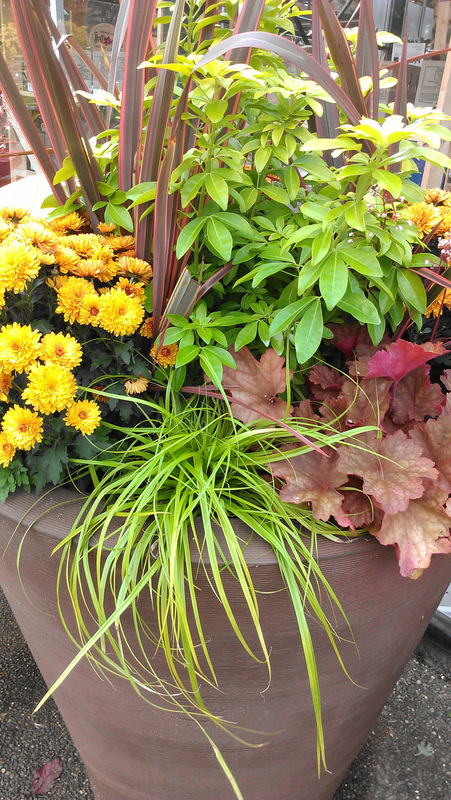 At Swansons, we have several options to help you create beautiful, seasonal containers. 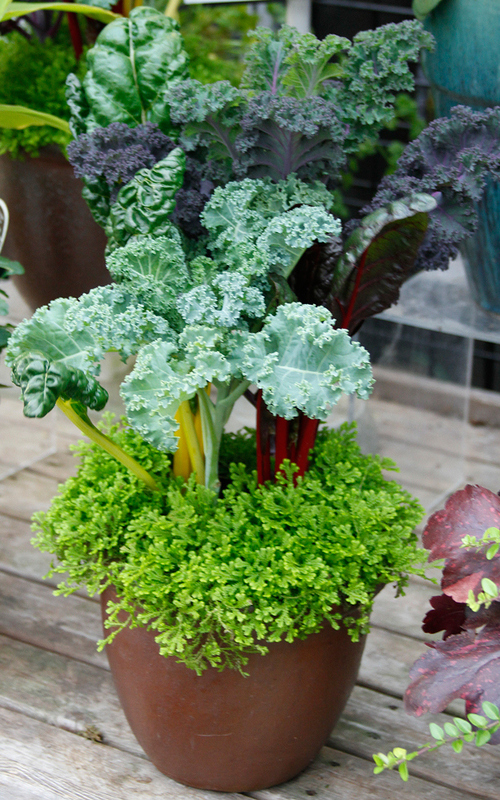 Our Container Design Department can help you choose pots and plants and will then plant up your containers here at the nursery. Or, set up a consultation with our In-Home Container Design Service. We will create individually-designed containers matched to your home or business and installed directly on your premises. Want to do it yourself? 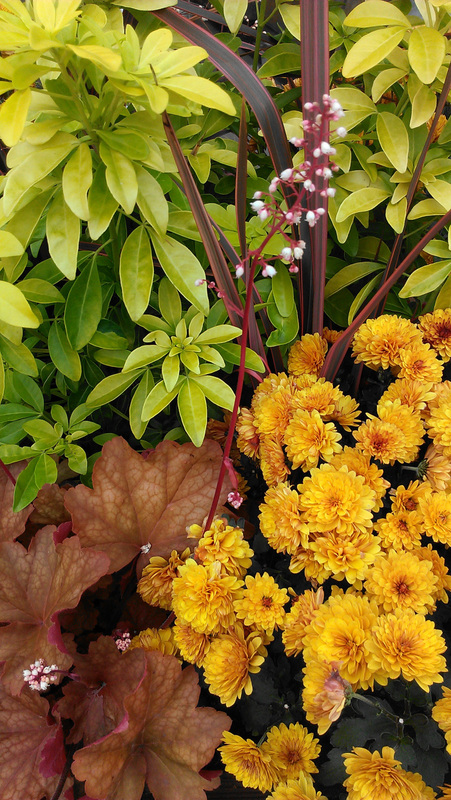 Come in and look at the array of pots and plants that can be used in creative combinations with a focus on foliage color, texture and form for the winter season. 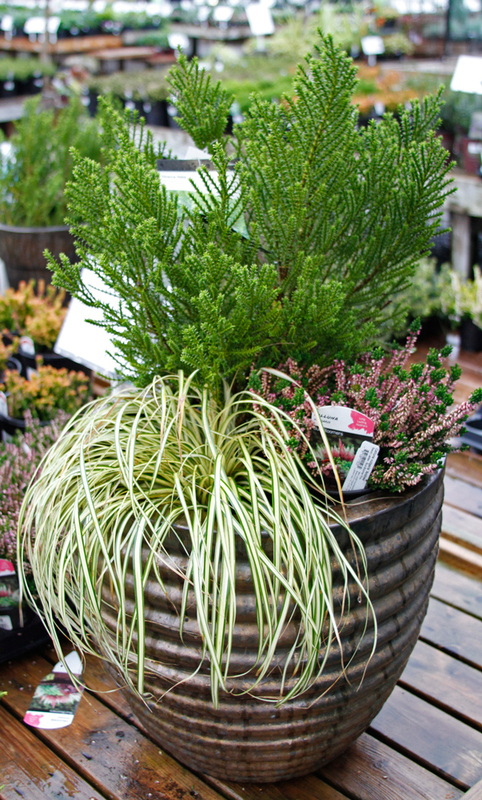 One of our friendly experts can help you choose plants that reflect your unique sense of style. Here are some ideas to help you get the process started. 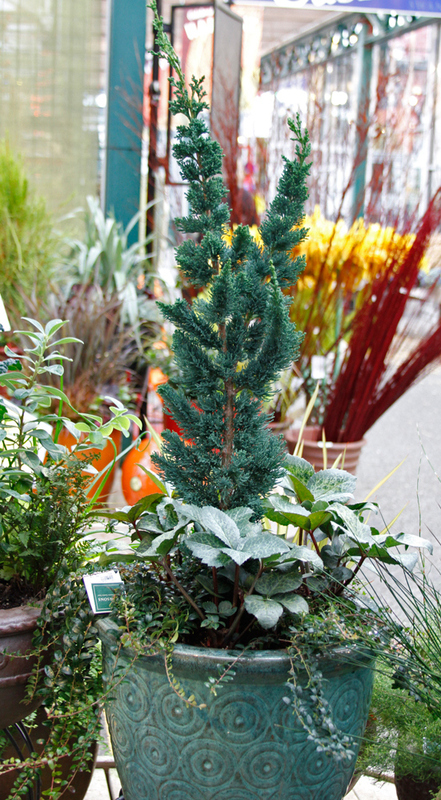 Evergreen conifers come in a range of textures, colors, heights and forms, and are a handsome backdrop in mixed containers. If you have bare trees shedding their leaves all around you, adding a few lush evergreens to your containers may be what's needed to enliven your space. Camellia, Nandina, Euonymus and Drimys are all delightful additions to the fall and winter container. For a tall, spiky element, New Zealand Flax is unbeatable for its range of colors - from a warm chocolate to stripes of pink or bright yellow and green. Vaccineum, Yucca, Heather, Hebe and smaller Euonymus complement larger, central plants. Shrub Lonicera have tiny leaves of citrus yellow to rustic gold, contrasting nicely with the larger-leaved companions mentioned above. 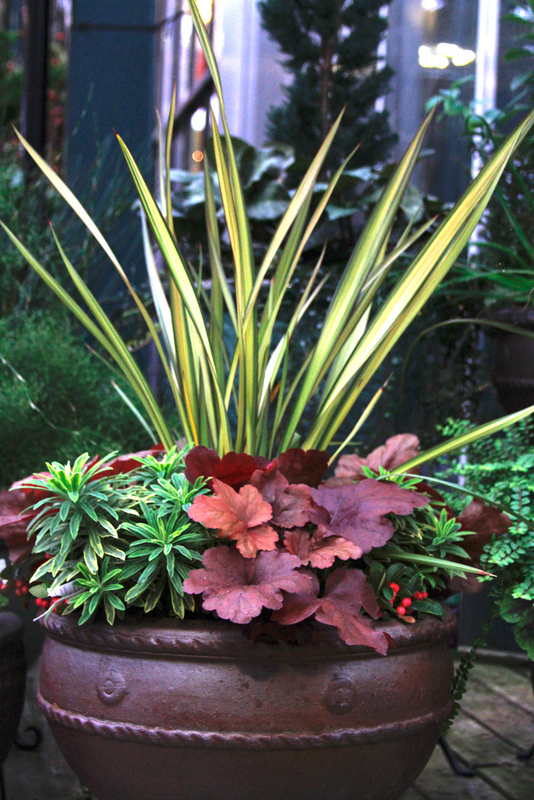 Add height with evergreen grasses and sedges, which come in rustic browns and oranges, bright chartreuse and yellow. Black mondo grass stays low and adds contrast with it's ebony, strappy leaves. 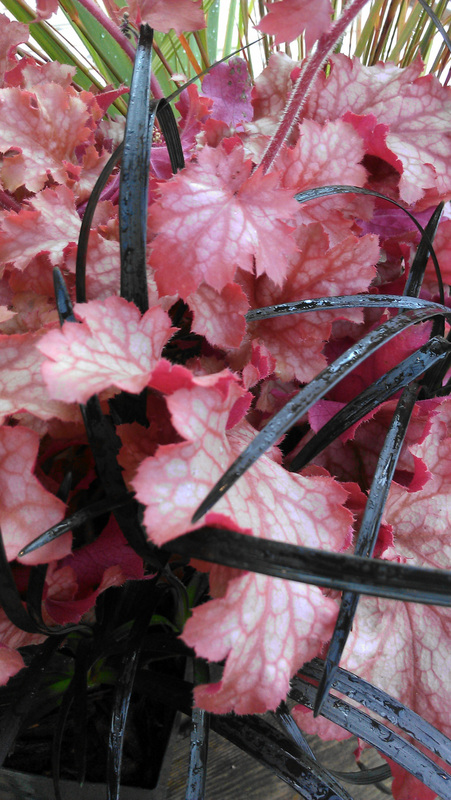 It's a perfect accent to the brilliant hues of Heuchera, whose broad leaves sparkle and shine when covered in rain drops and become magical when dusted with frost. Decorative English Ivy and Vinca cultivars are perfectly charming trailing over a pot. Sedum 'Angelina' is a contrast in foliage and color with its bright chartreuse yellow, spiky leaves that tinge bronze during cold winters. The Hellebores are incredibly lovely in leaf and flower. Starting in December, these perennials begin to flower, blooming well into early spring, depending on the variety. A Hellebore Bloom Chart is available to help guide your selection. 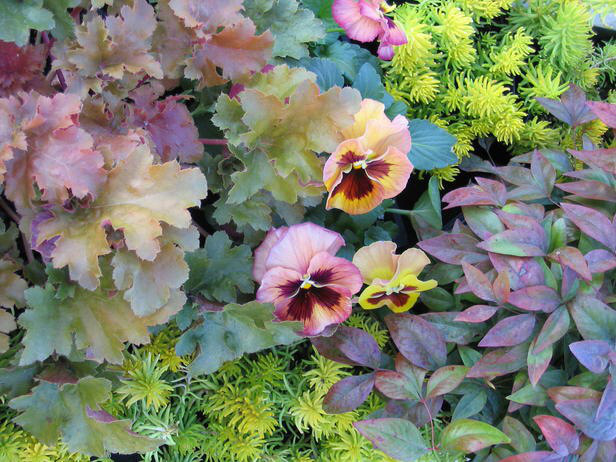 For an added zap of color, tuck in a few cheery cyclamen, bright mums, ornamental cabbage and kale, or charming winter pansies. Ready to start or need more inspiration? 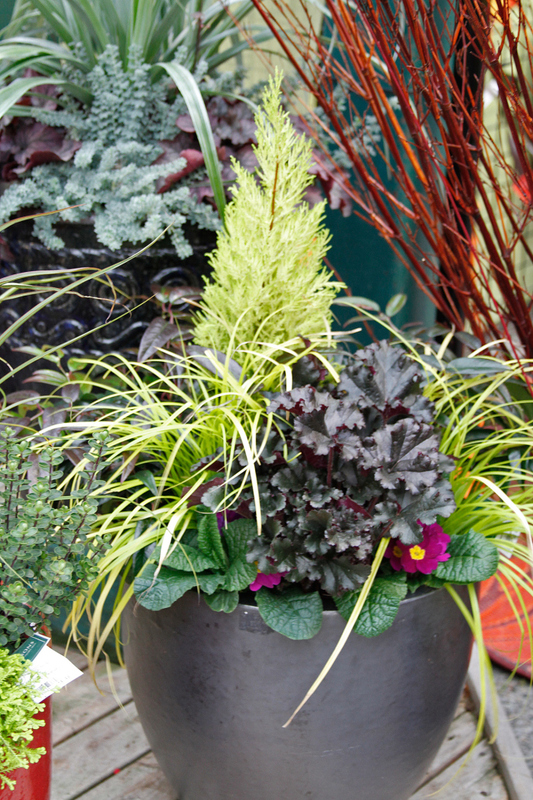 Visit our Pinterest board "Fall and Winter Container Design" to see photos of the above plants and more. 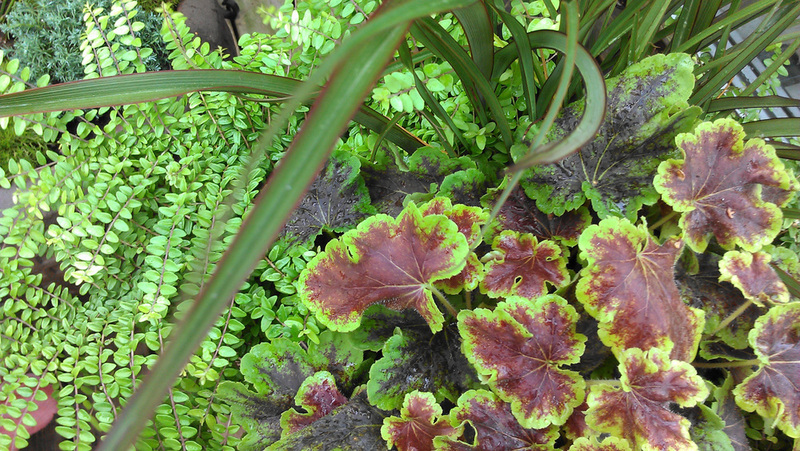 And check out our Container Gardening Care Sheets for tips and instructions. Editor's Note: this post was originally published on November 20, 2014.